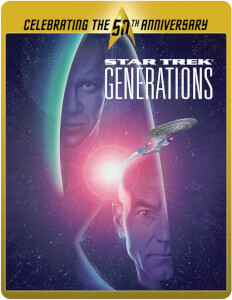 To celebrate the 50th Anniversary of the first broadcast of a Star Trek episode in 1966, this Steelbook features art based on the original theatrical poster, plus commemorative 50th Anniverary logo. 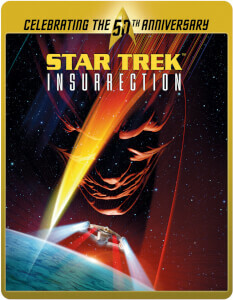 In the wake of Spock’s ultimate act of sacrifice, the crew of the U.S.S. Enterprise returns to Earth from the newly formed Genesis planet. 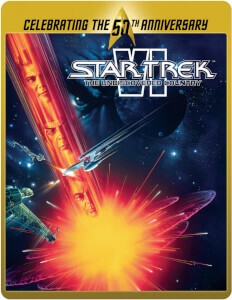 Upon arrival, the crew learns that life back home will not be easier: Scotty gets reassigned, Dr. “Bones” McCoy appears to be going insane, and the Enterprise is to be decommissioned. 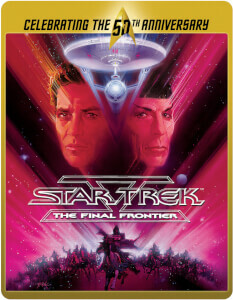 It is only when Kirk is confronted by Spock’s father that he learns his old friend may have another chance at life if the crew can survive the Klingon interference and return to the Genesis planet.